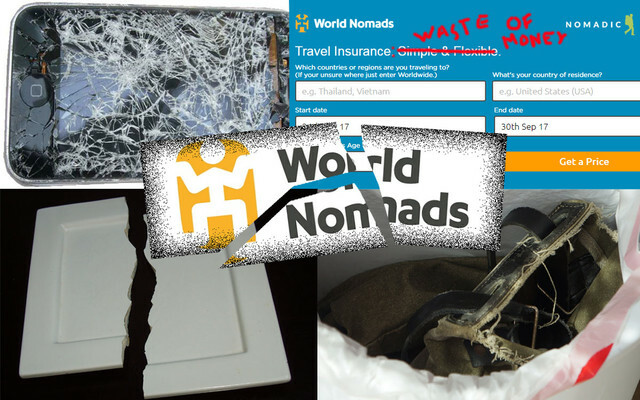 Last week we were preparing a new blog post about reasons why global nomads don't buy travel insurance. It was based on an academic research Päivi made for Tilburg University. When doing a background research on web, I noticed an unnatural amount of links pointing to an insurance company whose name suggests an affiliation with nomads, World Nomads. Isn't this business as usual? Yes and no. Travel bloggers get paid for selling dreams, and there is nothing bad in what they're doing as long as they do it openly and fully disclose that they are publishing paid advertisements as their own blog stories. Buying and selling links, on the other hard, is search engine spam and violates the quality guidelines of search engines. The links that bloggers sell are not marked properly with rel="nofollow", and many of them do not disclose their affiliation. Readers may think that the bloggers actually buy travel insurance from World Nomads and search engines are fooled to think that the paid, unnatural backlinks are genuine. It is only a matter of time before Google penguin will catch this link spam scheme, or someone reports it to Google, and all the participants will be punished. Trust me, it's a good idea to remove such search engine spam from your website. Otherwise your search engine ranking will drop. This means that either those "reviews" written by nomads together with affiliate links are fake, or those travelers are not really the nomads they claim to be. The World Nomads link farm stinks either way. Here is our twitter discussion with World Nomads. the same of travel website for upload and reviews .pdf file. We don't really work with joomla or wordpress, but program our content management systems from the scratch using PHP according to customer's needs. That said, there are plenty of other web developers offering such services who you could contact. If you specify a bit more what you what you are looking for from your travel website, we might be able to help you further.